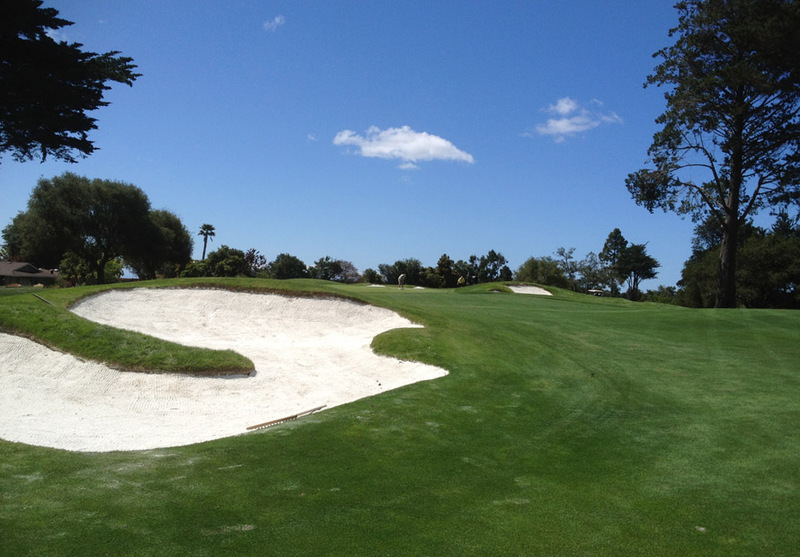 The bunker whisperer, the reasoning behind this is to be really slow and soft, that what makes me a great bunker player, the ability to swing the club in almost slow motion. 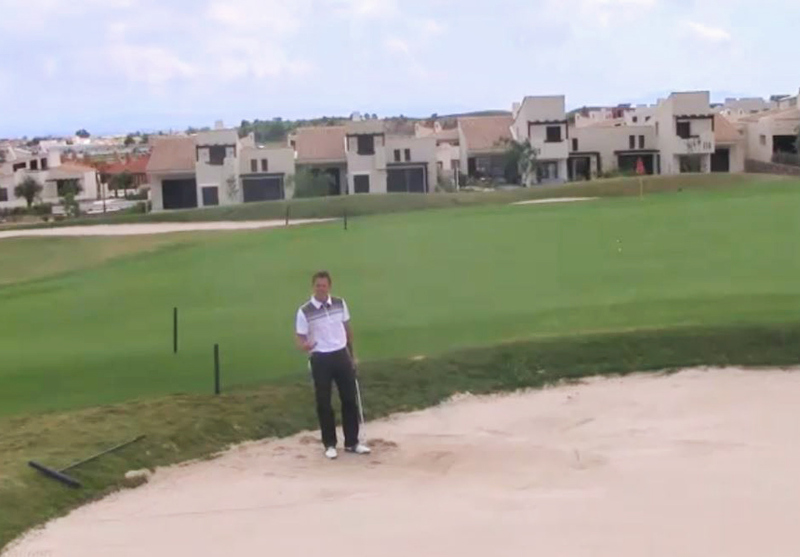 Poor bunker player stop trusting at various points on the down swing and tend to rush the shot or hit it to hard just to make sure it comes out, great bunker players don’t share this doubt. The transition between back swing and down swing is instrumental in the consistent success of becoming great from the traps. 1-Controlling the speed of my back swing is vital, Practice swinging the club in slow motion and actually hit a few shots like this, you’ll be amazed at the results. What most players don’t realise and I’m not just talking about handicap golfers here, this includes pro’s, adding or increasing the speed to your short game is easy, taking the speed out or away is what must players find difficult or don’t even consider. 2-If the balls coming out to far chances are my club head speed at impact is too hard and fast. Practice slowing this down, i’ll be amazed at just how soft you can hit and get the ball out. Once I experience this my bunker play and attitude out the sand will rocket. 3-Practice one move that get the ball up and out and goes between 7 to 14 yards, if you work hard at the distance and getting control focusing on one swing you will no longer be fearful of the sand. 4-Booooooooom is the word to use or maybe even come up with your own, the reason you say booooooooom is because you want to notice how you don’t add tension through the whole shot. By saying boom or oooooonnnnnnnnne, ttttttttttttttttwwwwwwwwwoooooooo you are learn to control your tension build up. You could also try exhaling when you hit the shot. 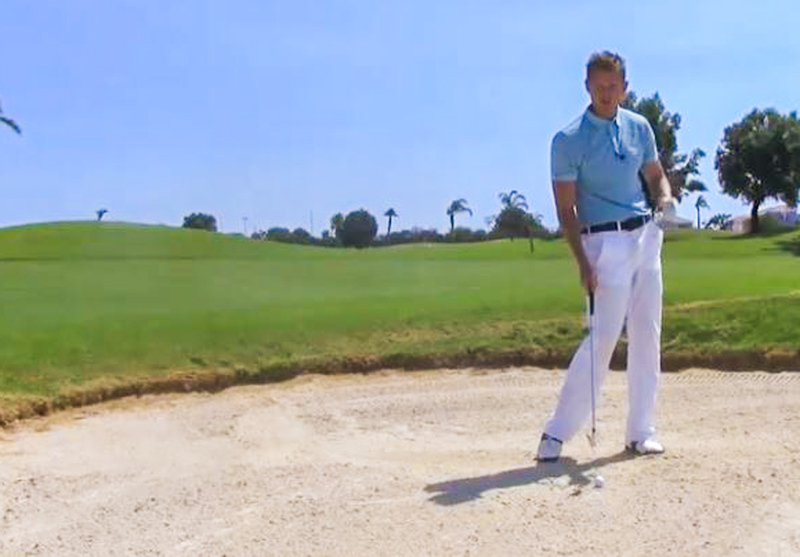 Remember rhythm is the key in your sand shots. 5-Make sure your sand iron has some bounce on it. Top points to remember !! 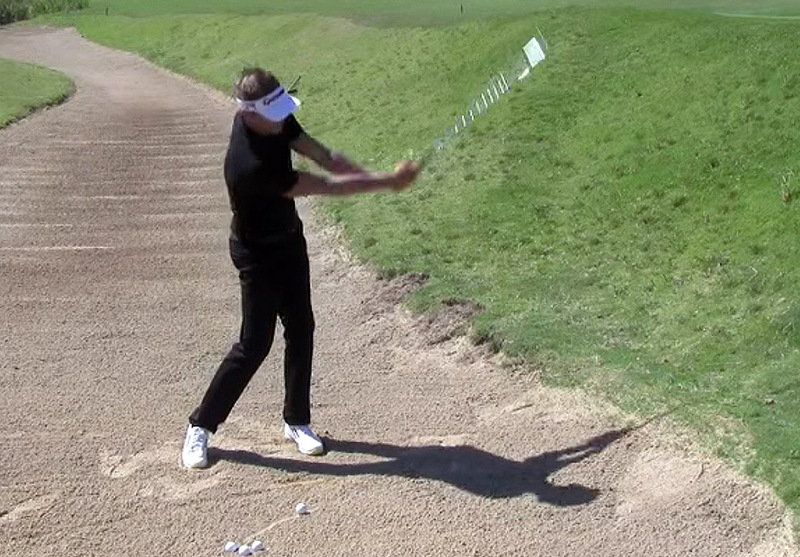 The bunker whisperer, swing the club in almost slow motion. 5-Make sure you sand iron has some bounce on it. 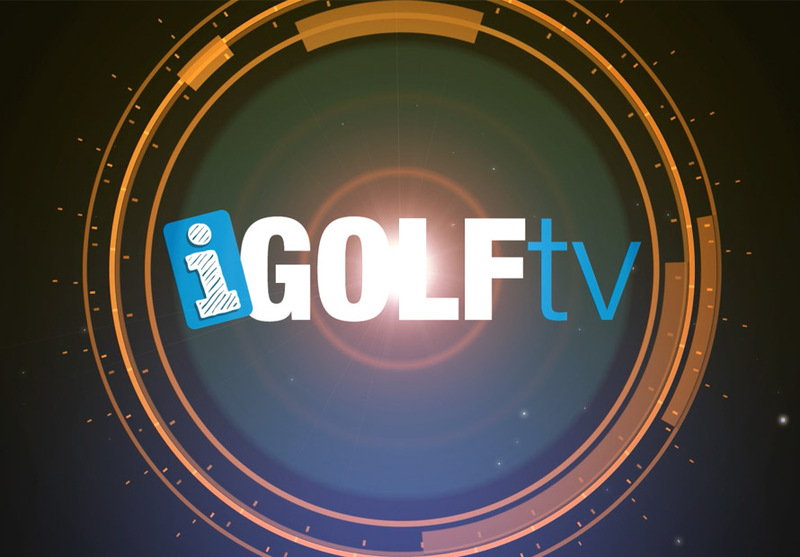 How to become the best putter you’ve ever been.